书籍简介: In the second edition of this best-selling Policy Governance operating manual, John Carver and Miriam Carver make this exciting approach to effective governance even more accessible and user-friendly, gleaning lessons learned in years of practice to help readers understand and use this invaluable model. 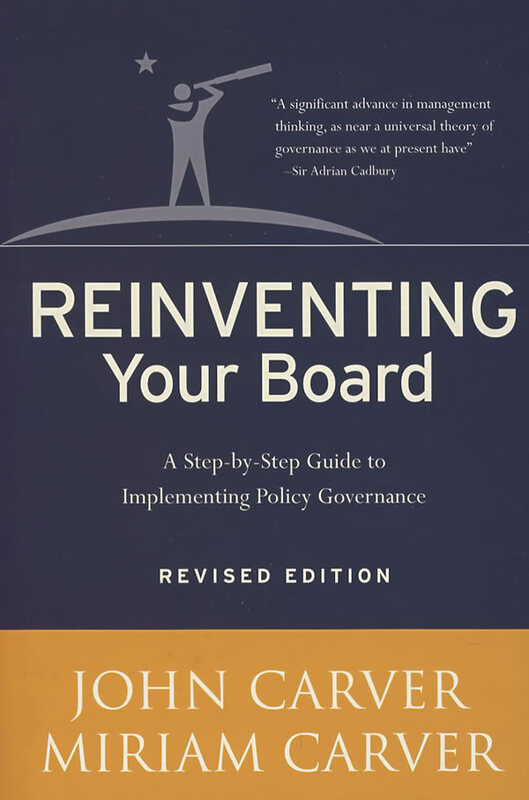 Carver’s groundbreaking Policy Governance model is the best-known, respected, and talked about governance model in the world and has fundamentally influenced the way organizations are governed. Reinventing Your Board, second edition, is a hands-on, step-by-step guide that puts the model to work in the meeting-to-meeting lives of board members. It includes new policy samples and a new chapter on monitoring performance, as well as other practical “put-the-model-in-motion” advice. This popular and highly successful companion to Boards That Make a Difference contains the nuts-and-bolts materials needed for implementing Policy Governance. The authors illustrate effective board decision making, show how to craft useful policies, and offer practical advice on such matters as setting the agenda, monitoring CEO performance, defining the board role, and more. Step-by-step instructions and sample policies make this a must-have resource for boards in the public and nonprofit sectors aiming to govern their organizations with excellence.